Part of the Ten Secrets of Women Call. Taken in Xi'an, China at the Friend-Making Clubhouse at Half Past Eight. 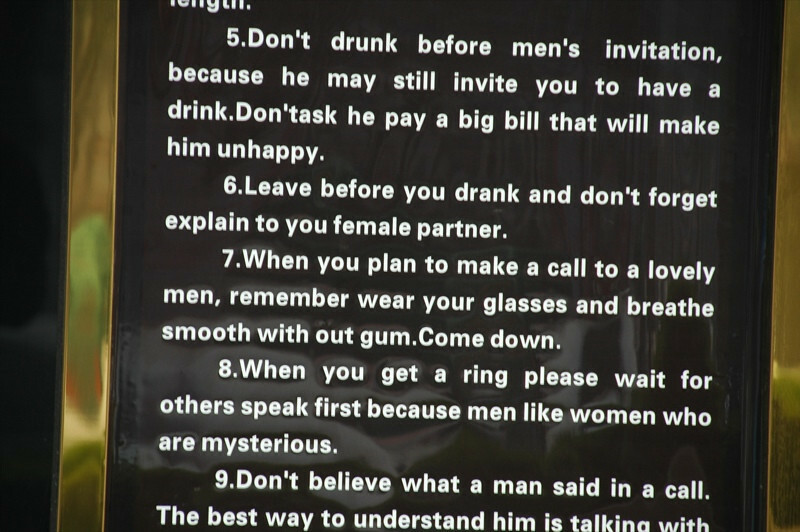 Read more sage dating advice from the streets of China.